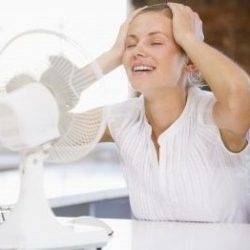 Keeping cool at work – switch on any fans or air conditioners to keep workplaces comfortable and use blinds or curtains to block out sunlight. Staff working outside should wear appropriate clothes and use sunscreen to protect from sunburn. Stay hydrated – employers must provide staff with suitable drinking water in the workplace. Workers should drink plenty of water throughout the day to prevent dehydration and not wait until they are thirsty. Dress code – employers are not under any obligation to relax their uniform or dress code requirements during hot weather but where possible it may be advisable to for employers to relax the rules for wearing ties or suits. Getting into work – if public transport gets adversely affected by the hot weather, this could affect staff attendance and their ability to get into work on time. Staff should check timetables in advance. Vulnerable workers – some workers may be more adversely affected by the hot weather such as the elderly, pregnant women or those on medication. Employers may wish to give them more frequent rest breaks and ensure ventilation is adequate by providing fans or portable air cooling units. Fasting during hot weather – many Muslims are currently observing Ramadan and fasting during the daylight hours, which involves not eating food or drinking liquids. Employers may help those affected by holding meetings in the morning when energy levels are higher or consider a temporary change in working hours. Acas’ full hot weather guidance is available here.